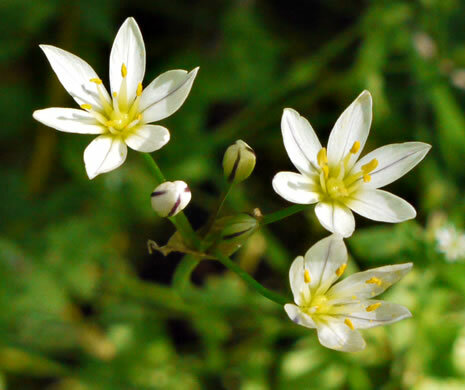 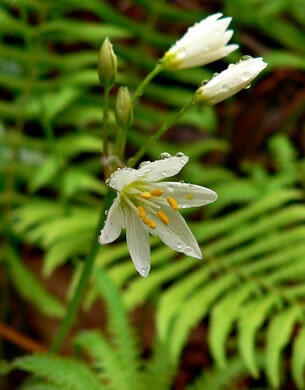 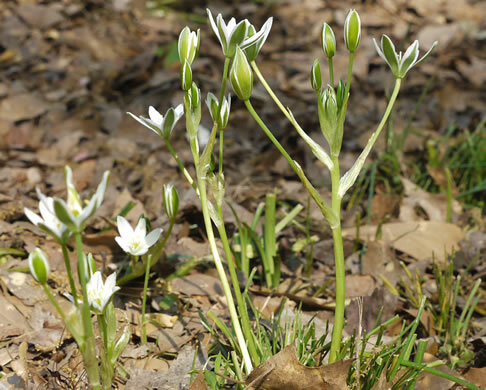 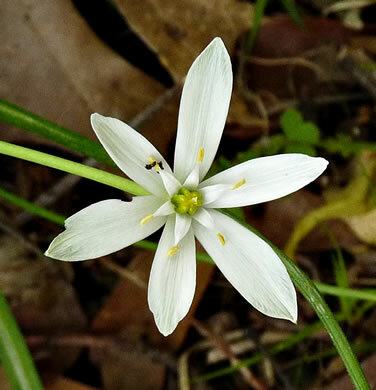 Your search found 7 image(s) of False Garlic and Star-of-Bethlehem. 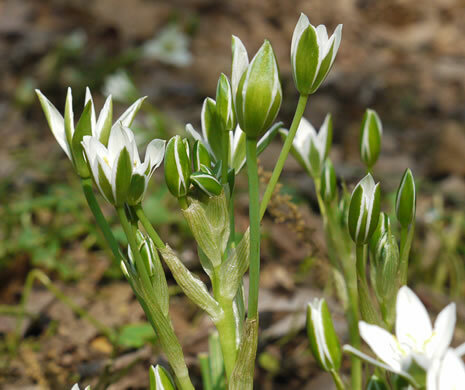 The tepals are spreading and white with a broad green stripe on the back, per Wildflowers of Tennessee. 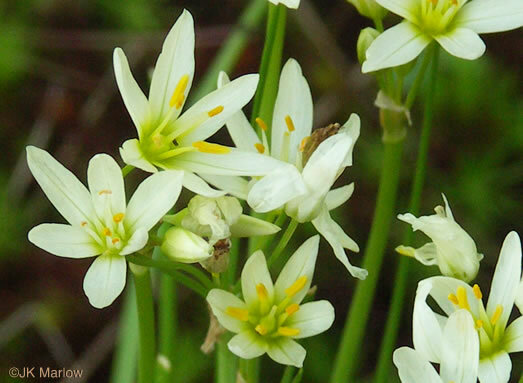 The 6 tepals sometimes have a green or purple midrib on the back, per Wildflowers of Tennessee. 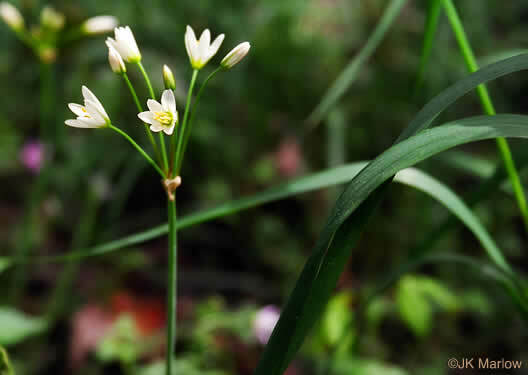 Inflorescence a loose terminal umbel, per Wildflowers of Tennessee, the Ohio Valley, and the Southern Appalachians.